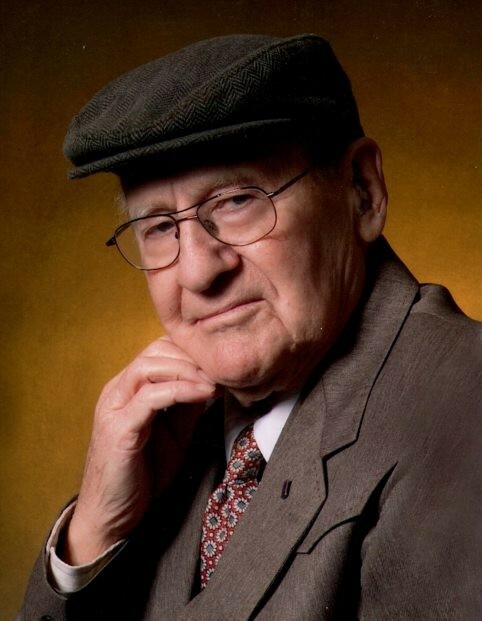 Milton Ehren Schlesener departed this life on Thursday, March 28, 2019, at the Herington Municipal Hospital. He was the son of John F. and Emilia (Gentz) Schlesener. He had four brothers, Eugene, Verl, Donald, Dale, and a sister, Helen. He worked at the Rock Island, Southern Pacific, and Cottonbelt Railroads as a conductor and retired after forty-six years. He served in the U. S. Army during World War II, as a platoon sergeant. He served overseas for 29 months as a member of Company D, 505th Parachute Infantry Regiment, 82nd Division, which saw service in Sicily, Italy, England, France, Germany, Belgium, and Holland. He was awarded six major campaign stars, and two purple hearts. He attended the one room school house on highway 43, between Hope and Navarre. Later on he would receive his GED and get a pilot’s license. He was a member of St. Paul Lutheran Church of Herington, and a life member of the VFW of Herington. He served as Commander for Dix Day Post #1281 from 1971-1976. He was a former member of the American Legion. In his retirement, he enjoyed playing pitch and canasta with Verl and Karolyn, and was a fan of the KU Jayhawks. On August 15, 1954, he was united in marriage to Catheryn L. Weber, at Hepler. They were the parents of four children, Gregory Quentin, Jason Vincent, Lisa Kay, and Rachel Janell. His wife preceded him in death on November 13, 2006. He is also preceded in death by two brothers, Eugene and Dale; a sister, Helen Herpich; son in law, Tony Lightfoot; and his parents. He is survived by two sons, Greg Schlesener (wife-Dee), and Jason of Herington; two daughters, Lisa Lightfoot of Herington, Rachel Hawkins of Seymour, Iowa; two brothers, Verl Schlesener (wife-Karolyn) of Herington, Donald Schlesener (wife-Karen) of Reno, Nevada; twenty grandchildren; and 14 great grandchildren. Funeral services will be 1:00pm,Wednesday, April 3, 2019, at the St. Paul Lutheran Church, Herington, with Pastor Colleen Teeuwe, officiating. Military committal will follow at the St. Paul Lutheran Cemetery, Herington (Shady Brook). Family will receive friends from 6:00 – 8:00pm, Tuesday, at the Zeiner Funeral Home-Herington Chapel. The family requests memorials to the American Legion, Carey R. McClaren Post #12 of Herington, or VFW, Dix Day Post #1281 of Herington; and may be sent in care of the Zeiner Funeral Home-Herington Chapel, 404 S. Broadway, Herington, KS 67449-3038.